Fall is here and that means two things: back to football and back to school. Droves of people are hitting the books and hitting the fantasy football turf. 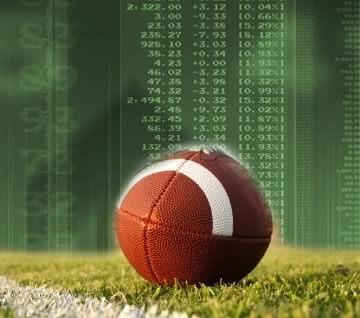 As a leader, and potentially an avid fantasy football guru, what are the take-aways from fantasy football that can help your organization this fall? 1. Do your research. When building your fantasy league you do not go into the draft blind. You read articles, blogs, stats, and watch sports programs to decide a list of who you want on your team. The same should hold true for your organization. When planning events, training, or simply trying to motivate your members, do your research. What are campus and community resources you can utilize? What blogs (like StudentLifeGuru.com), YouTube videos, or websites are available with relevant leadership information you can utilize? Take time to analyze your organization to see who may be your MVP this season. Tap into multiple resources, and get a list of ideas together as you enter the semester. 2. Pay Attention to your Schedule. Just like in fantasy football, if one of your players is on a bye week or out with an injury, you want to fix your roster accordingly. This holds true for your organization. Leaders are busy people; juggling school, work, social life, and other activities can be challenging. As a leader you need to organize your roster so that your organization’s events are adequately staffed. You do not want to volunteer your organization and have a poor attendance by your members. Include your members in planning and organizing events, keep members aware of events through meetings or social media, and reward your members for their participation in events. This will give you a solid roster for your game every week. 3. Get Excited! You know that excitement you get as you pick your players and attend your draft? You should feel the same about your organization and its activities! Find little ways to make your meetings fun. Add something to your semester that the entire group wants to take part in such as volunteering or fundraising for a worthy cause. Keep track of your group’s achievements on a regular basis and celebrate in unique ways. Have your group create a motivational saying or cheer and use it to start or close meetings. This entry was posted on Friday, September 3rd, 2010 at 10:04 pm and is filed under Leadership. You can follow any responses to this entry through the RSS 2.0 feed. You can leave a response, or trackback from your own site.